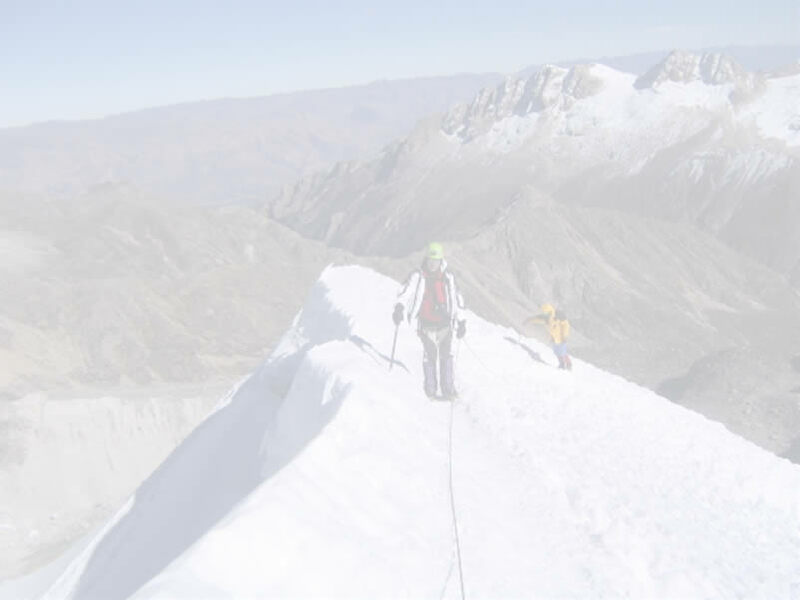 A winter mountaineering instructional climbing course for those wishing to learn winter climbing & backcountry travel skills. 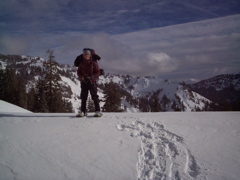 You will gain training in the fundamentals of winter travel & climbing on either snowshoes or skis. 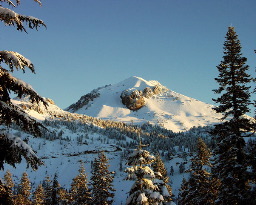 This winter mountaineering course includes an attempt of Lassen Peak, the southern-most Cascade Volcano. 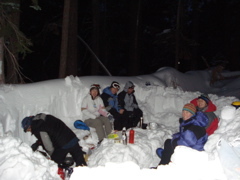 A winter climbing course for anyone interested in the winter backcountry as a foundation for more advanced winter climbing, snowshoeing, or ski touring. 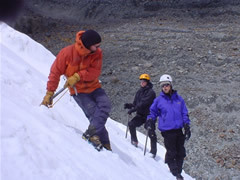 For more California alpine climbing & winter mountaineering courses check out our main Alpine Climbing / Mountaineering page. Location: Lassen National Park, South Entrance. Northern California, one and a half hours east of Redding, Ca. For more information about Lassen National Park including lodging and driving directions check out our Lassen National Park Travel Page. Prerequisites: No previous climbing experience required, but some previous experience in hiking and backpacking is strongly reccommended. Previous snowshoeing experience is not necessary.